We are in love with the butterflies! The Occasions catalog is fluttering with 2 great butterfly bundles. 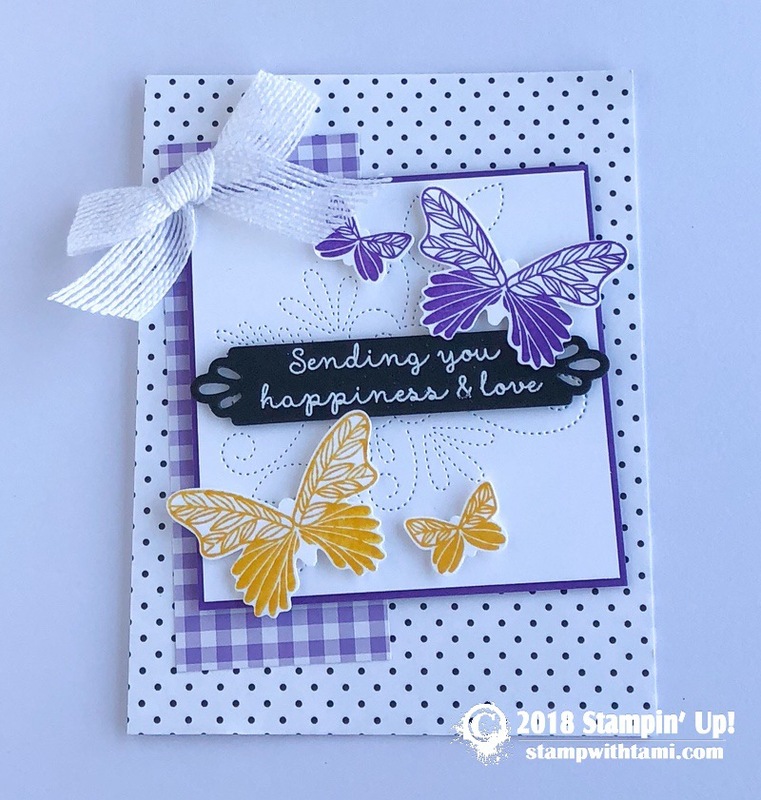 This card is from the Butterfly Gala bundle: Stamp set and punch. The words are frome the Needle and Thread stamp set and needlepoint background is created with the coordinating Needlepoint Elements dies. The background papers are from the Gingham Gala DSP (Occasions) and Botanical Butterflies DSP (Sale-a-bration). We shared this card and more in our Top 10 “Must Haves” in the Occasions Catalog video Thursday. Click here for details.